Rules & Rulings is a new column here at The Escapist where I spend some time highlighting the best of the online culture surrounding tabletop games. The roleplaying game, card game, and board game enthusiast blogs create the majority of the most fascinating house rules, adventures, tools, riffs, twists, and commentary on their games - a richness I want to curate for you alongside some of my own commentary. If you didn't see this column the first time out, go check it out as well. The cool links didn't get any less cool. Video game publisher Paradox Interactive bought White Wolf Games, the publisher who pioneered the character-driven roleplaying experience with their World of Darkness games like Vampire: The Masquerade and Werewolf: The Apocalypse. Click the prior link for the news, and then read an interview with new White Wolf CEO Tobias SjÃ¶gren for an idea of what this might mean for one of tabletop gaming's past titans. For my part, unless we see more aggressive growth in the WoD fanbase than we have for the last 15 years, this'll probably make more interesting video games than tabletop fodder. For more of my part, we recorded a whole podcast on this development. Cardboard Republic got a look at indie head to head card-laying and flipping game RESISTOR_ and quite liked it, and I am pointing you at their review because even though I quite liked the game last year I don't have time for the review. I had basically made the decision to skip on lightweight trading sensation Traders of Osaka, but League of Nonsensical Gamers has a pretty good breakdown on the game that makes me want to play it. In short, the game's turns are really simple choices, but radically alter the game board with domino effect consequences. Always a treat for me - but those prone to analysis paralysis should avoid. On the other hand, I can't help but remember the Shut Up & Sit Down verdict that made the game sound resoundingly mediocre and altogether forgettable. Giant Fire Breathing Robot has a great breakdown of Codenames, a superbly fun party word game by one of the best designers living today, that focuses on why those who don't normally enjoy word games might like it. If your parent/guardian/family/significant other won't buy you RPG books, here's the article to show them the useful skills you'll learn from running the game. 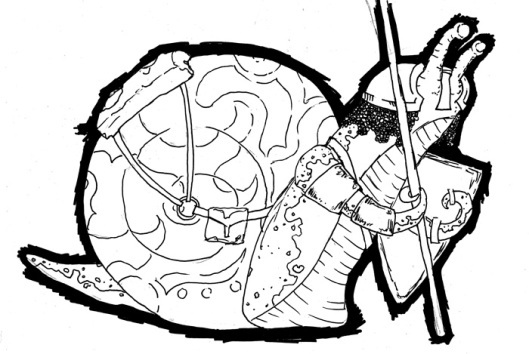 In what is perhaps the penultimate expression of "why not," Dyson's Dodecahedron presents a Snail Lord class for B/X and/or old school D&D. So if you have every wanted to play a giant, anthropomorphic snail, well, here you go. They are, perhaps, overpowered - owing to their ability to cast spells in full armor plus their own natural shell. On the other hand, 4,000 experience to reach level two is a lot. Maybe I'd like this better if it wasn't just a B/X Elf with bonus AC and a higher experience threshold. Running a years-length campaign of D&D is a huge dream for many people, so what happens when you actually get a stable campaign started and then realize you'll be playing this game for years, despite all the other cool ideas for campaigns and other game systems you have? A post at Gnome Stew asks readers to ruminate on the concept, and requests advice on how to stave off this loss of focus. Notably, it avoids using the problematic term "Gamer ADD," for which I'd like to give some kudos. D&D's design team has some class variants customized for Underdark play, though I'm not sure why they're giving them to us after the release of their big Underdark campaign arc. Here's a clever way to use 13th Age's Icon Dice rolls as a die drop on a blank campaign map, throwing out some randomization to how your fantasy RPG campaign world is laid out, and involving the players in that creation process. Pretty easy to adapt to your fantasy game of choice, to boot. 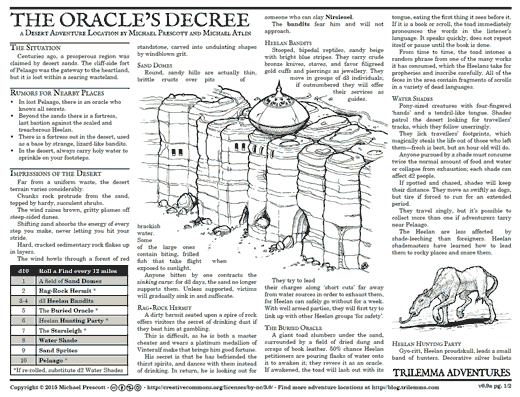 If you remember the weirdo Water Shade monster from last column, here's a mostly system-neutral adventure by the same creator called "The Oracle's Decree" that takes place in a deep desert fastness, complete with pretty creative commons art and neat isometric map. Headspace is a cyberpunk RPG with a curious twist: The characters are all neurally linked, allowing the sharing of skills and abilities at the risk of emotional bleed. It's like Cyberpunk 2020 meets superb Netflix show Sense8. It's currently on Kickstarter and uses a neat, consumer friendly incentive program where backers immediately get access to a set of Quickstart rules for the game. I'm not sure I'm sold on the system, but the art and premise are both unique. Spanish language RPG Aquelarre is getting a Kickstarted translation. It bills itself as "dark and mature," so, uh, you probably know if you're interested. This one's mathy, but fascinating. Slot game designer Scott Caputo breaks down the value of volatility - that is, large outlier numbers and big chances to gamble on - in game design. Is "shooting the moon" good for a game? When is letting players who take huge risks get big rewards the right choice? He describes what he means and then, helpfully, shows an implementation of the principle in an easily explained Carcassonne expansion. Have an awesome blog, podcast, or other publication I should be following? Spot an amazing post I should see? A fan creation? Email us and let me know! Or contact me on Twitter. 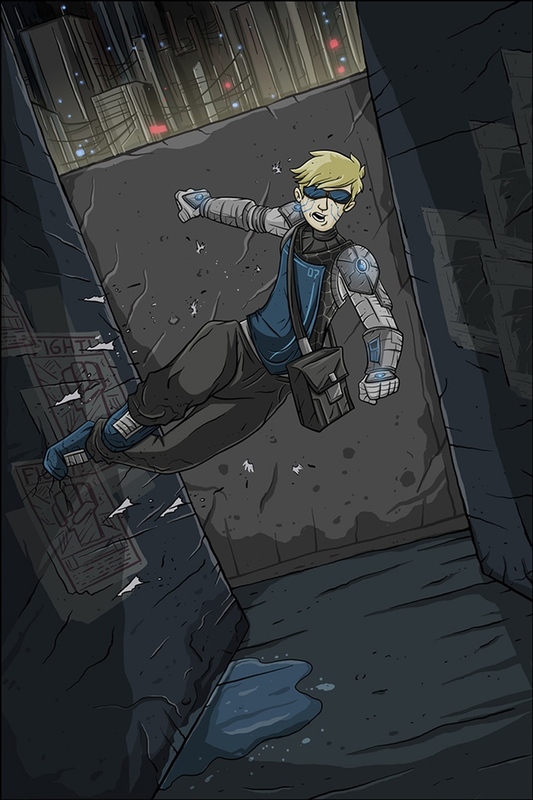 Jon Bolding is The Escapist's Production & Tabletop Games Editor. You can follow him on Twitter. You can watch him stream video games Mondays at 2pm ET and play tabletop games at Twitch and The Escapist Plays YouTube on Wednesdays at 4pm ET.